The IHFFC is the dedicated expert body established by Additional Protocol I to the Geneva Conventions to respond to incidents in relation to international humanitarian law. It stands at the service of parties to an armed conflict to conduct enquiries into alleged violations and to facilitate, through its good offices, the restoration of an attitude of respect for that body of law. In order to secure the guarantees afforded to the victims of armed conflicts, Article 90 of the First Additional Protocol to the Geneva Conventions of 1949 (AP I) provides for the establishment of an International Fact-Finding Commission. The International Humanitarian Fact-Finding Commission (IHFFC) was subsequently established in 1991. It is a permanent body of 15 independent experts, acting in their personal capacity, elected by the States having made a declaration of recognition under Article 90 of AP I. The Commission's essential purpose is to contribute to implement and ensure respect for International Humanitarian Law (IHL) in armed conflict situations. · Enquiring into any facts alleged to be grave breaches or serious violations of IHL. · Facilitating through its good offices the restoration of an attitude of respect for the Conventions and AP I. · Reporting its findings to the States involved and making such recommendations as it deems appropriate. In the fulfillment of its mandate, the Commission observes the principles of neutrality, independence, impartiality, and confidentiality. In its capacity as the depositary of the Geneva Conventions and their Additional Protocols, Switzerland runs the Secretariat of the Commission. Each State which has recognized the competence of the Commission has the right to refer for investigation situations of armed conflict to the Commission on condition that all Parties involved have equally recognized the Commission's competence. A State Party to the First Additional Protocol may make a comprehensive declaration, thereby recognizing the Commission's competence, or it may consent to an investigation into the facts of a particular dispute. A comprehensive declaration can be made at any time. Today, 77 States have made a comprehensive declaration under Article 90. 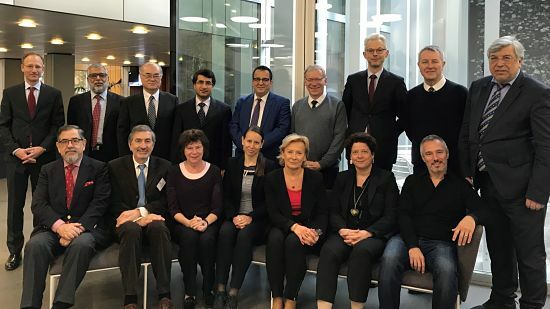 The International Humanitarian Fact-finding Commission (IHFFC) held its Annual Meeting from 1 to 3 April 2019 in Geneva. Building upon the momentum reached on the occasion of the successful Eastern Ukraine mission, the 15 Members discussed ways to further capitalise on this significant development. The Commission is grateful for the support of a number of States expressing their willingness to establish a “Group of Friends” of the IHFFC at the United Nations in New York and is looking forward to playing its part in progressing this important outreach activity. This will be part of a greater initiative to increase the visibility of the Commission. The Commission also adopted measures to encourage even more States to recognise the competence of the Commission according to Article 90 of Protocol Additional I of the Geneva Conventions. In view of further enhancing its operational readiness, the Commission took decisions of principle and created a number of Working Groups in order to streamline and update internal guidelines and working methods. The Members of the Commission used the opportunity of the Annual Meeting to hold a series of exchanges with relevant stakeholders, including Member States, the ICRC and academic institutions. In particular, the Commission invited representatives of other relevant bodies, including the International, Impartial and Independent Mechanism for Syria and the Group of Eminent Experts on Yemen, to share experiences and insights. The Commission agreed upon its annual Programme of Work. In addition, it adopted the Financial Report for the year 2018 and the draft budget for the year 2020 which will be submitted to Member States according to the established Financial Procedures of the Commission. The next Annual Meeting will be held in spring 2020 in Geneva. The International Humanitarian Fact-Finding Commission (IHFFC) has proposed its services to the governments of both the Russian Federation and the Ukraine through identical letters dated 4 December 2018. The IHFFC stands ready to assist both the Ukraine and the Russian Federation with regard to the situation relating to the incident, which occurred in the Kerch Strait on 25 November 2018. The IHFFC is very pleased to announce that Palestine has recently become the 77th State to recognize its competence, in accordance with article 90 of the Protocol I Additional to the Geneva Conventions of 1949. The International Humanitarian Fact-finding Commission (IHFFC) held its annual meeting from 19 to 21 February 2018 in Geneva. During this meeting, the Commission discussed, inter alia, its strategy and programme of work for the upcoming year, and it adopted its communication policy. The Commission also carried out a lessons-learned exercise on its first mandate in Easter Ukraine in 2017 (independent forensic investigation in relation to an incident that affected the OSCE Special Monitoring Mission). The Commission organized a well-attended briefing on this first mission for representatives of States and civil society. This event attracted great interest. The next annual meeting will be held from 1 to 3 April 2019 in Geneva. On 23 November 2017, the President of the International Humanitarian Fact-Finding Commission (IHFFC), Thilo Marauhn, met with Peter Maurer, President of the International Committee of the Red Cross (ICRC), at the ICRC headquarters in Geneva. They had an interesting exchange of views on the mandate recently given to the Commission by the OSCE in relation to an incident that affected its Special Monitoring Mission to Ukraine. They also had a fruitful discussion on the role of the IHFFC in the implementation of international humanitarian law and on the support that the ICRC can provide to the Commission. The IHFFC is grateful for this support. On 4 December 2017, the UN High Commissioner for Human Rights Zeid Ra’ad Al Hussein announced the appointment of the members of the Group of Eminent Experts on Yemen established by the Human Rights Council. The members are Kamel Jendoubi (Tunisia), who will serve as chairperson, Melissa Parke (Australia) and Charles Garraway (United Kingdom). The latter was an esteemed member of the IHFFC and until recently one of its Vice Presidents. The Commission wishes him all the best in his new position. 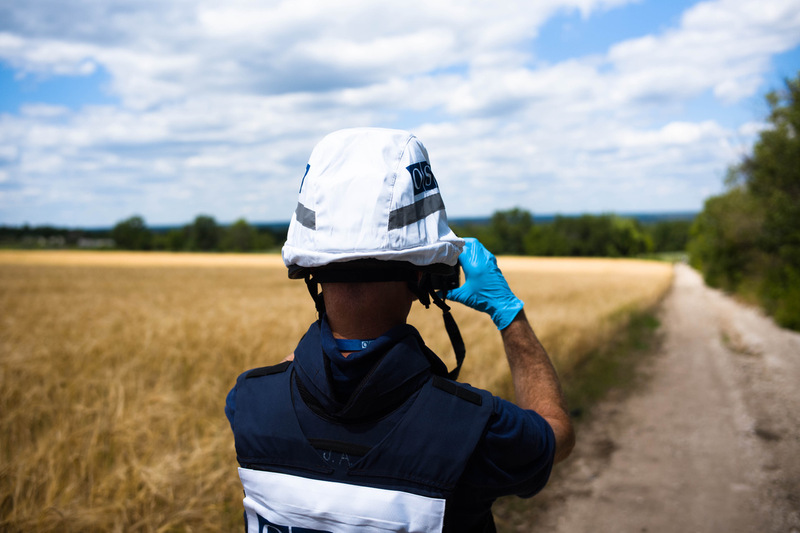 Bern/19.05.17 – The International Humanitarian Fact-Finding Commission (IHFFC) was asked by the OSCE to lead an independent forensic investigation in relation to the incident of 23 April 2017 that occurred in Pryshyb (Luhansk Province) and caused the death of a paramedic and the injury of two monitors of its Special Monitoring Mission to Ukraine (SMM). On 18 May 2017 the Secretary General of the OSCE Lamberto Zannier and the President of the IHFFC Thilo Marauhn signed a memorandum of understanding between the two organizations, followed by a distinct agreement relating to the incident. Based on the terms of reference agreed therein, the purpose of the independent forensic investigation is to establish the facts of the incident by conducting a post-blast scene forensic and technical assessment against the background of international humanitarian law. While the investigation will be guided by the applicable rules of international humanitarian law, criminal responsibility and accountability for the explosion is outside its scope. Ambassador Alfredo Labbé (Chile), Vice-President of the IHFFC, will lead the investigation team. The other members of the team will be proposed by the IHFFC and selected by the team leader in consultation with the OSCE Secretary General. The team will conduct its investigation confidentially and will report to the OSCE Secretary General only.